EazyAUTO4 has introduced a new unique feature. Now you can directly import your bank statements as is downloaded from bank's website. You dont have to change anything in excel sheet. 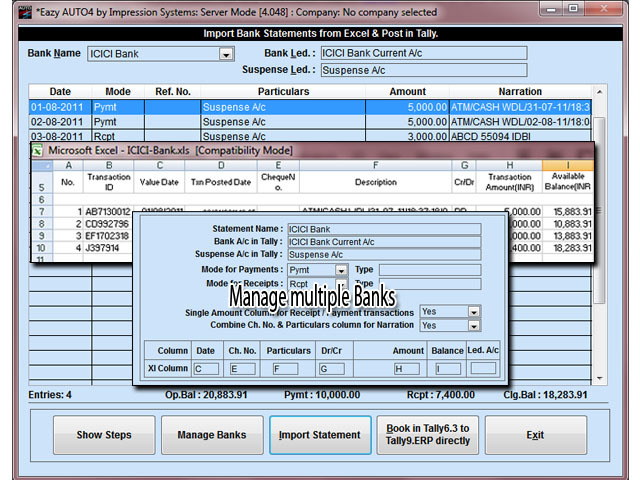 Just import bank statement & directly book entries in Tally 6.3 onwards. These all entries will be posted to Suspenses Account. Afterward you can alter these entries in Tally. If you want to post bank entries to their relative accounts then you can alter bank statement and add ledger name column to statement sheet. And select ledger names from unique Ledger List provided by EazyAUTO4. 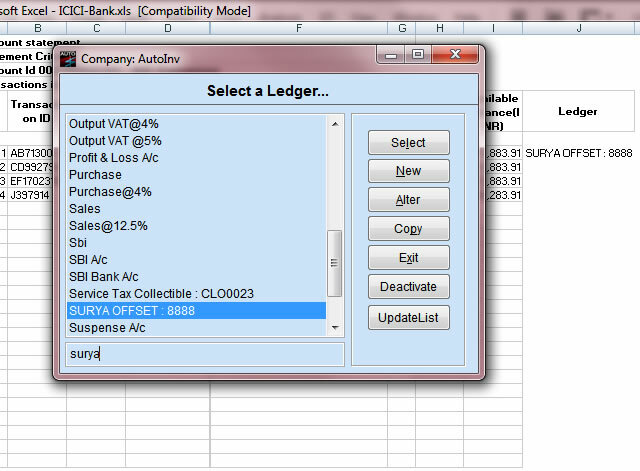 To use this ledger list anywhere in excel Activate is by clicking on "Activate LedList in Excel" from main screen of EazyAUTO4. And now just press "~" (tilde) key to get this list. Get opening closing balances before booking entries in Tally. NO Programming / XML / TDL knowledge required.